An occult art whose practitioners’ main goals have been to turn base metals such as lead or copper into precious metals such as gold or silver (the transmutation motif); to create an elixir, potion, or metal that could cure all ills (the panacea motif); and to discover an elixir that would lead to immortality (the transcendence motif). The philosopher's stone is the name given to the magical substance that was to accomplish these feats. Many modern alchemists combine their occult art with acupuncture, astrology, hypnosis, and a wide variety of New Age spiritual quests. Alchemists may have tried out their ideas by devising experiments, but they never separated their methods from the supernatural, the magickal, and the superstitious. Perhaps that is why alchemy is still popular, even though it has accomplished practically nothing of lasting value. Alchemists never transmuted metals, never found a panacea, and never discovered the fountain of youth. Alchemy is based on the belief that there are four basic elements—fire, air, earth, and water—and three essentials: salt, sulfur, and mercury. Great symbolic and occult systems have been built from these seven pillars of alchemy. The foundation of European alchemy, which flourished through the Renaissance, is said to be ancient Chinese and Egyptian occult literature. The Egyptian god Thoth, known as Hermes Trismegistus, allegedly wrote one of the books considered by the alchemists to be most sacred. (Hermes, the thricegreat, was the Greek god who served as a messenger and delivered the souls of the dead to Hades.) The book in question, Corpus Hermeticum, began circulating in Florence, Italy, around 1455. The work is full of magic incantations and spells and is now known to be of European origin. Some alchemists did make contributions to the advancement of knowledge. 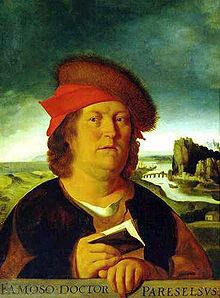 For example, Paracelsus (1493–1541) introduced the concept of disease to medicine. Ironically, he rejected the notion that disease is a matter of imbalance or disharmony in the body, a view much favored by modern alchemists. Paracelsus maintained that disease is caused by agents outside of the body that attack it. He recommended various chemicals to fight disease. Trimble, Russell, "Alchemy," in The Encyclopedia of the Paranormal edited by Gordon Stein (Buffalo, N.Y.: Prometheus Books, 1996), pp. 1-8. Alchemy Is Back by Harriet Hall, M.D., Science-Based Medicine "Alchemy is alive and well! Yes, that medieval precursor of chemistry, that chimerical search for the philosopher’s stone and the transmutation of lead to gold. Modern alchemists have found the philosopher’s stone and are selling it and teaching people how to make it themselves out of dew and Celtic sea salt."